Berlin's Ali and Basti Schwarz joined rhythmic forces sometime around 1997. Their first venture was 24 Seven, which firmly put the then-sleepy Stuttgart on the map as a top nightlife destination. The deep house duo then debuted with their single Music in 1999 and by 2001, the pair were expanding the parameters of modern dance music with their album RAL9005. Tiefschwarz quickly became a mainstay on the club scene. With the licensing of the album by Classic Recordings, Tiefschwarz captured the attention of London, paving the way for their rise to international notoriety. Through high profile remixes, they have also made a name for themselves as masters of reworking other people's tunes. Depeche Mode ("John The Revelator"), Madonna ("Get Together") and Spektrum ("Kinda New") are just three of the many artists who have had the Tiefschwarz treatment. And as it gets dark and the deep black of the night sets in, Tiefschwarz come to life -- clubbing being their biggest vice, yet also their biggest strength. Now they're back with their third album Chocolate, the first release on their own label, Souvenir. 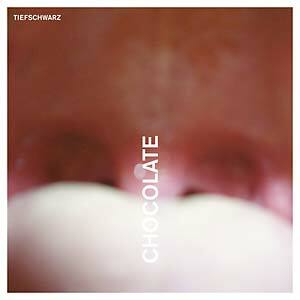 Techno and house still form the foundations, yet Tiefschwarz push themselves beyond their previous limits. They've found a new, intrinsic sound of their own that oscillates between numerous genres -- at once both clear-cut and immensely intricate. One minute, the steady bass drives a dancing rhythm, the next, it would have you believe that four-to-the-floor is actually a beat based on a prime number. Chocolate is everything: subtle, bitter, and sweet, without milk and sugar, hand-crafted from only the finest ingredients. The tracks work perfectly on the dancefloor, yet at the same time, the album as a whole is great to listen to outside of the club setting, due to its fantastic depth, enduring vocal tracks and subtle production methods. The first single "Find Me" (featuring Cassy) is the perfect example of striking the right balance between music to dance to and music to listen to. Alongside Cassy, guest features include Seth Troxler, Dave Aju and a talented new singer with an incredible voice, whose identity is yet to be revealed. 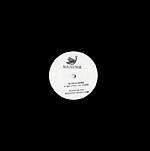 Ali and Basti worked with Philipp Maier aka Santé to produce the tracks, and the new dynamic that has emerged from the collaborative production process has manifested itself in a distinct live quality.